TORONTO, ONTARIO, March 23, 2017 – The housing market in Canada is hot! The average price of a Canadian home jumped more than 16 per cent year-over-year from last February. Now the average home in Canada will run you $503,057 according to the Canadian Real Estate Association. The cost of homeownership is out of grasp for many; as not many Canadians are walking around with half of a million dollars in their bank accounts – the reality is Canadians are struggling to save all together. 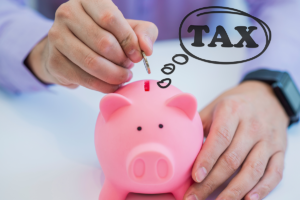 According to the Canadian Payroll Association, twenty-four per cent of Canadians would not be able to come up with $2,000 if an emergency arose in a month’s time. Throw in the fact 48 per cent of Canadians would have a hard time to handle their financial obligations if their paycheque was delayed by only one week. The story? Canadians are plagued by record levels of debt. How much debt are Canadians shouldering? The average Canadian carries $4,094 of credit card debt (Q4 2016) and most Canadians are carrying on average $22,081 of debt (Q3 2016) as a whole. Maybe it is a wakeup call for Canadians to live within their means until homeownership is feasible. 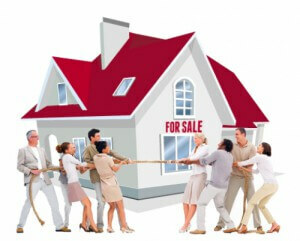 “If homeownership is out of grasp for you, you may have to consider other options to call home. Maybe this means staying in a rental longer or considering purchasing a condo instead,” says Jeffrey Schwartz, executive director, Consolidated Credit Counseling Services of Canada. “If homeownership is on your mind, create a plan to achieve it with the understanding you may have to save for a down payment longer before you can find and move into a home you can honestly afford,” says Schwartz. Plan big and make it happen! Create a budget to see where you are financially and where you would like to be. This means you have to spend within your means and create a strategic savings plan. Don’t leave anything to chance. Start your budget today to set your path to homeownership in motion. The housing market is heating up in most areas of the country. The more you put down, the less your overall debt will be (e.g. less interest charges, mortgage insurance etc.). However it is important to not use your down payment as a means to increase your spending budget. So keep your eyes on the prize and keep saving towards your down payment. It makes sense to direct as much money as you can towards your down payment however if you do that, you are setting yourself up for failure. How? When you buy a home, you need to have some money set aside for emergencies, home maintenance etc. When you don’t have a savings account and a financial emergency arises – you are putting yourself at risk to turn to debt to bail you out of trouble. Many potential homeowners are jumping into the housing market and buying homes beyond their financial means. Although it is easy to get caught up in the moment and buy a home for emotional reasons for fear of missing out – that’s a quick way into the house of debt. Start your journey towards homeownership on the right foot by spending within your means and avoiding what you cannot afford. Remember homeownership is more than a down payment and a mortgage – it takes time and money to maintain a home.